Pretoria – President Jacob Zuma has congratulated South African-born Hollywood star, Charlize Theron, for scooping the WEF Crystal Award at the World Economic Forum. 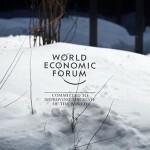 The World Economic Forum, an independent international organisation committed to improving the state of the world by engaging business, academic and other leaders of society, is currently meeting in Davos, Switzerland. “We are proud of our Charlize. She has succeeded in an extremely competitive environment and is a visible and hardworking ambassador for her country,” said Zuma. Awarded each year, the Crystal Award honours artists who have used their art to improve the state of the world. Theron, through her outreach project, finances programmes designed to prevent HIV among youth Africans and South Africans in particular. The project includes providing mobile health services to secondary schools in the rural uMkhanyakude District of the KwaZulu-Natal Province. The uMkhanyakude District is one of the most poor regions of the country, with only 6.6 percent of the population employed and nearly 83 percent of households living below South Africa’s poverty level. Zuma met with Theron on the sidelines of the WEF where she briefed him on the work of her project. “We wish her success in every venture she undertakes. 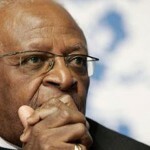 I assured her that South Africans love her and wish her all the best,” said the President.